All the tweeps gathered to wave to the astronauts en route to the launch pad. 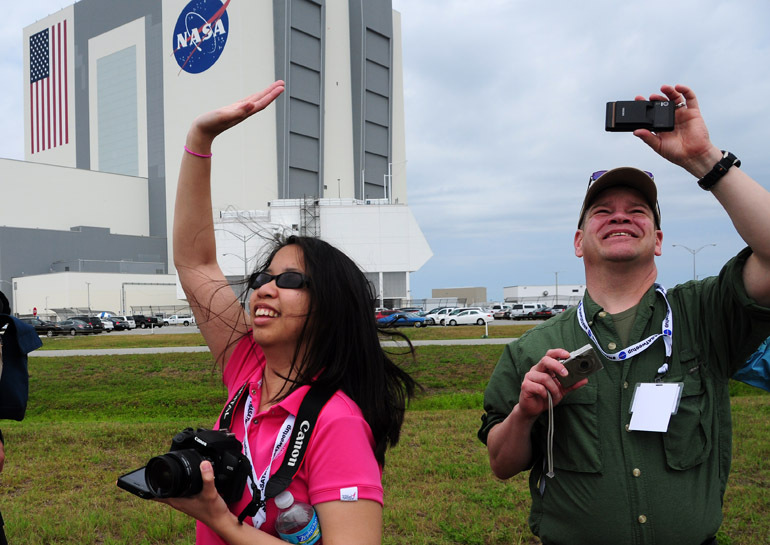 My table mates at the tweetup -- Julie Deily, a local resident who goes by @TheLittleKitchn on Twitter, and Michael Moore of Washington state, who is @MichaelBMoore -- watch the "Astrovan" as it turns into the parking lot of the Vehicle Assembly Building. 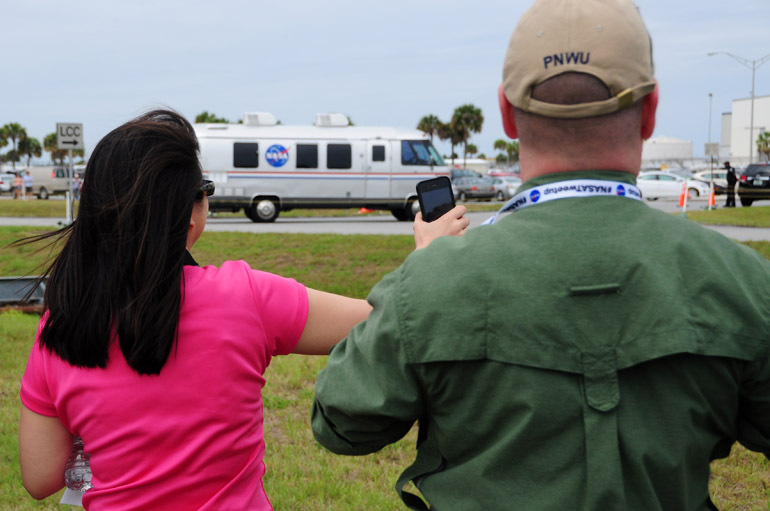 The tweeps wave at the helicopter after it turned around and followed the Astrovan away from the launch pad. The Astrovan had never before done such a thing. And the tweeps soon learned that the launch had been scrubbed. 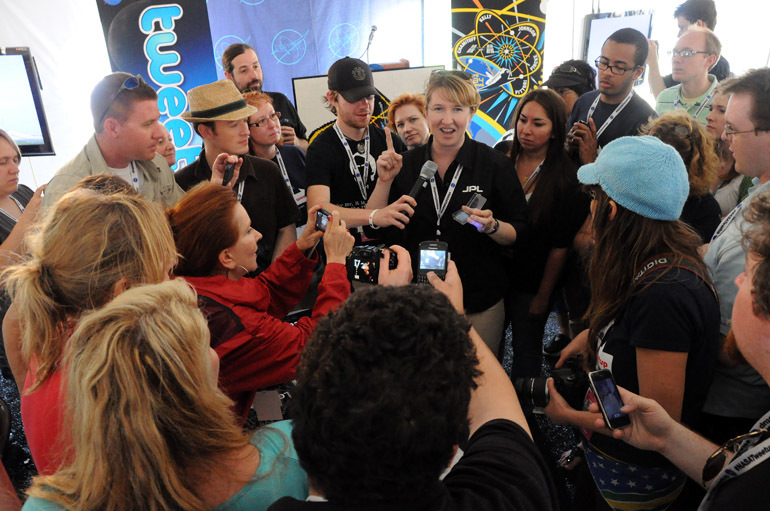 The second day of the NASA "tweetup" was largely uneventful. That's mainly because the day's main attraction, the launch of space shuttle Endeavour, didn't happen. A faulty electrical component caused a scrub. The tweeps saw the "Astrovan," which was in the process of carrying the crew to the launch pad, turn around in front of their eyes. Instead, the day was culminated with a visit by President Barack Obama, who had planned to attend the launch. 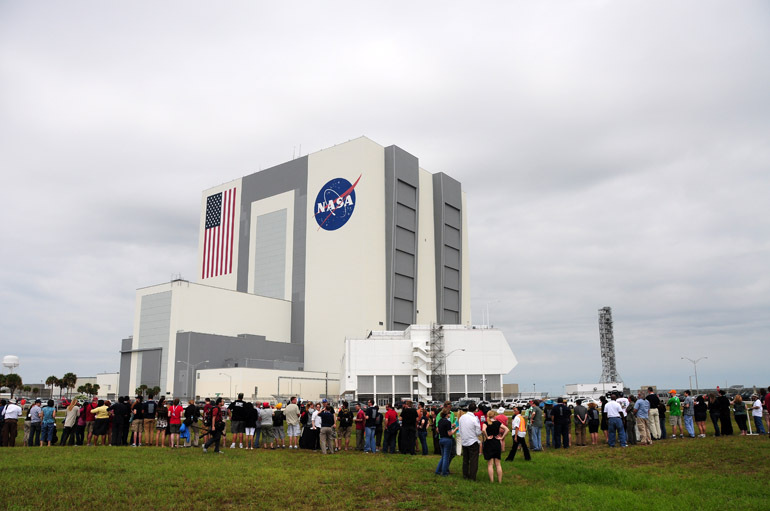 From his limo, Obama waved to the tweeps as he rode in front of the VAB. 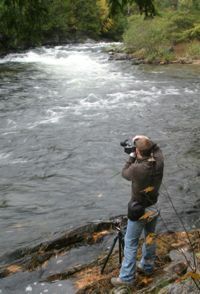 That was the extent of the day's thrills. 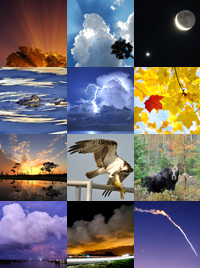 NASA invited the tweeps back for future launch attempts. Whether many people will be willing to make the trek to Florida again, however, is yet to be seen. Shuttles and space stations made of LEGOs were popular among the tweeps, as a designer from LEGO made a presentation. A lot of these tweeps are nerds. So I really fit in. 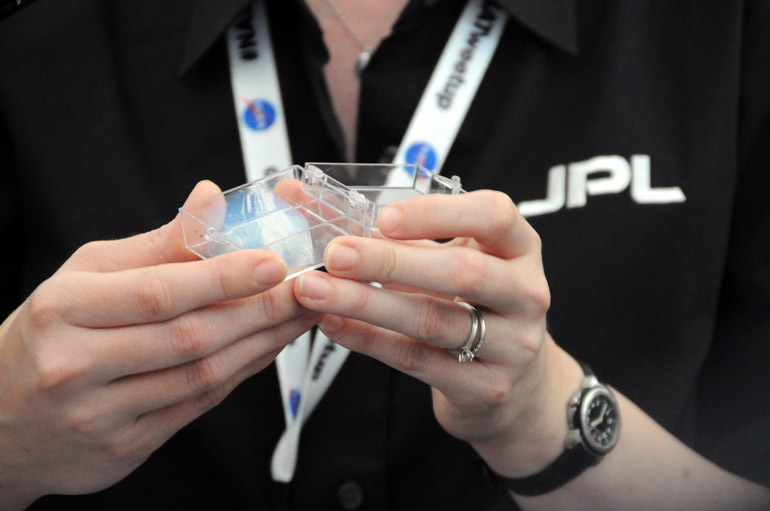 Scientists from NASA's Jet Propulsion Laboratory in California showed off a piece of aereogel, the world's lightest solid colloquially known as "frozen smoke." The porous material, which sounds like a piece of metal when it's dropped onto a hard surface, is used in space to collect dust particles. 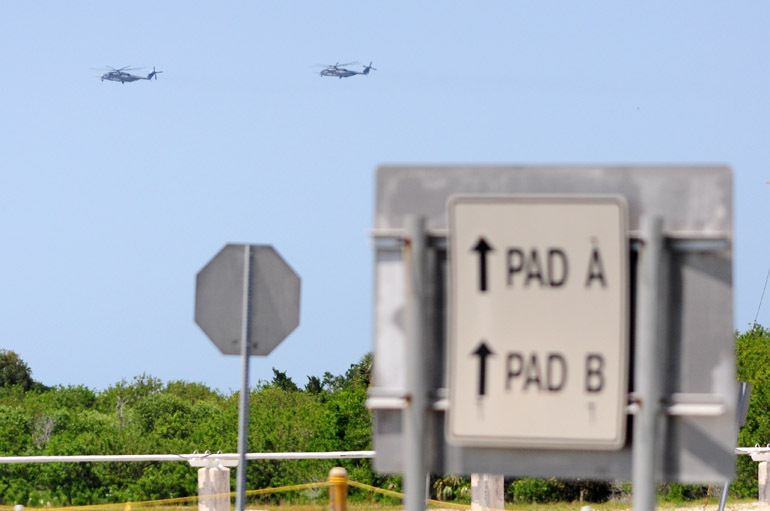 The president's helicopter escorts made their way to Kennedy Space Center. 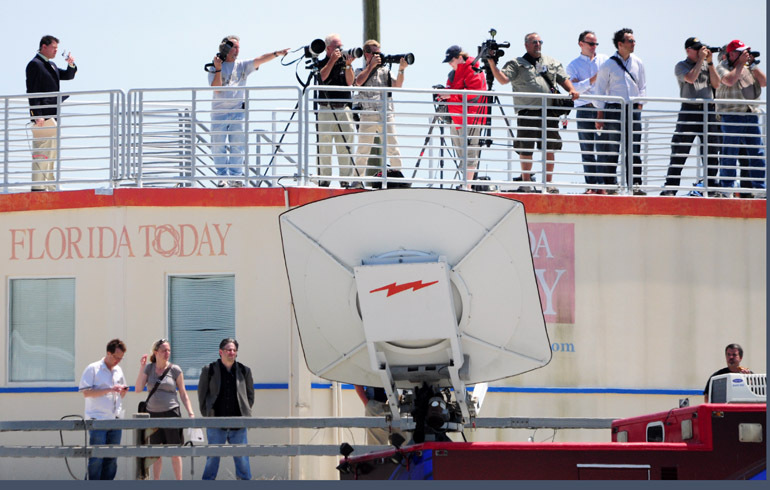 A bunch of journalists gathered to watch the president's arrival from the top of the KSC blockhouse used by my employer. 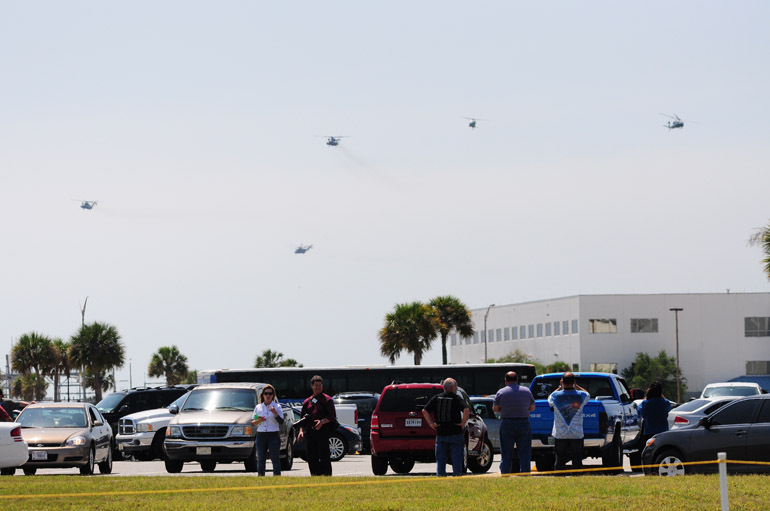 Some space center employees filed into the parking lot to watch the fleet of helicopters in the president's party. 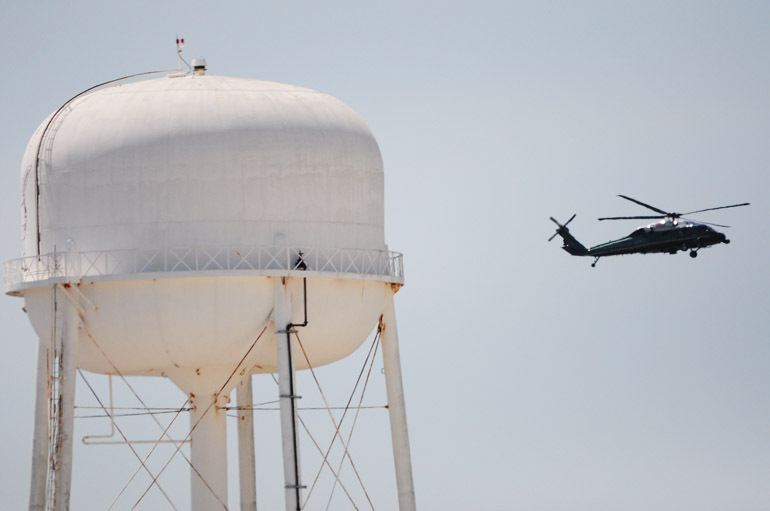 One of the choppers that might have contained the president.